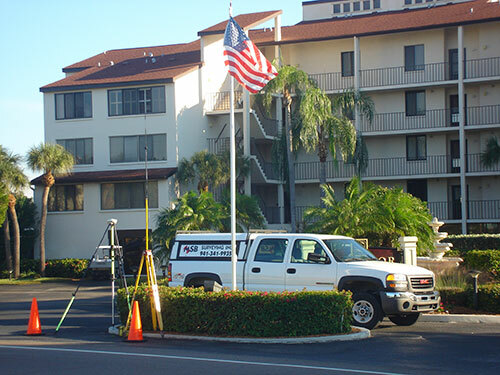 We strive to meet your surveying needs by providing excellent customer service and accurate surveys utilizing the latest GPS and Robotic technology in a timely manner. 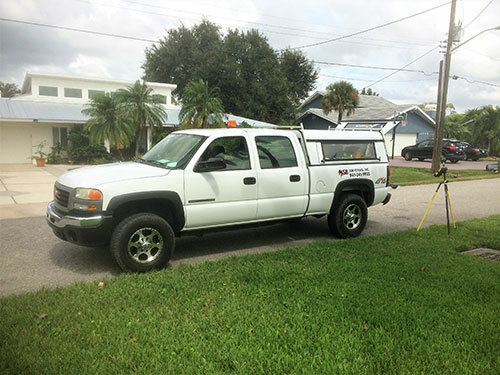 Our team consists of experienced, knowledgeable personnel who utilize the latest standards, equipment and data collection techniques. Boundary surveys – a survey to establish or a retracement to re-establishing monuments at your boundary corners and lines, locating fixed improvements for a mortgage, boundary disputes, permitting improvements, and dividing the parcel. Topographic surveys – a survey to map existing improvements and elevations for permitting and designing drainage. 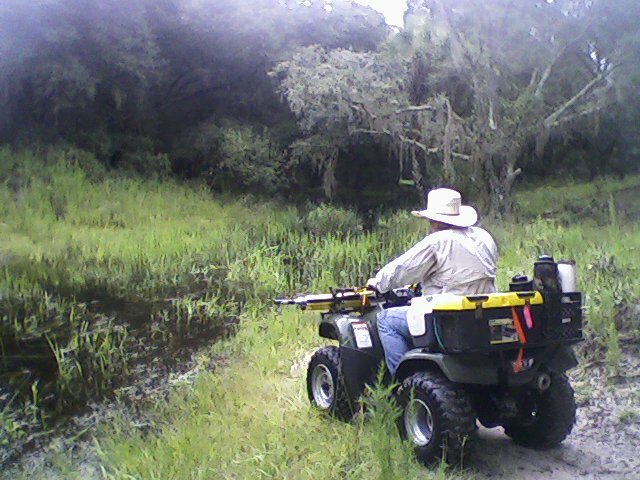 Mean High water studies and surveys – a survey to establish the mean high water line being the boundary of the private upland owner and the sovereign state submerged lands. Riparian Lines - a survey to establish an opinion of the rights of the upland private owner into sovereign state submerged lands typically to build a dock. Hydrographic surveys – a survey to map existing improvements, seagrass, oyster beds and elevations within the submerged lands for permitting a dock and dredging of a channel. Subdivision & Condominium platting - a service to create a document for recording the division of land or defining the Unit boundary within a Condominium. Construction Layout – a service to establish a designed improvement on the ground for new construction. Asbuilt surveys – a survey to depict the constructed improvements for review to compare the data of the proposed improvements to the newly constructed improvements. Quantity surveys – a survey to obtain measurements of quantity of lakes, dredge material or squire foot of concrete and paver driveways. Sketch and Description - a service for recording the division of land in public records. FEMA Elevation Certificate – a certificate with specific elevation information for obtaining flood insurance. ALTA/ACSM Survey – A land survey is made for the Title Company and/or Lender with the survey and location data needed for the issuing of title or mortgage insurance. For this purpose a map is drawn to “ALTA” specifications. "ALTA" stands for American Land Title Association Table “A” will need to be furnished to MSB Surveying. We are experienced in producing surveys for permitting for the Department of Environmental Protection, Southwest Florida Water Management District, Army Corps of Engineers and local municipalities. Information Guide for the General Public. 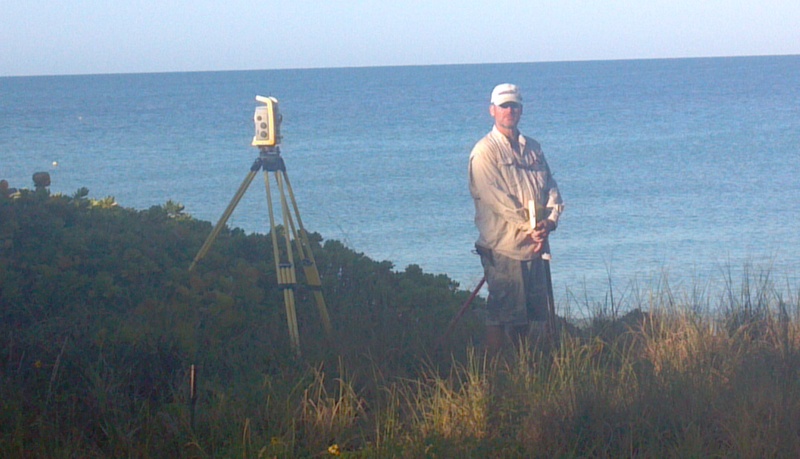 © Copyright MSB Surveying Inc.